Recipient of the university’s Alumni Distinguished Teaching Award, Morris Beja chaired the Department of English for eleven years. In retirement, he received the Undergraduate Auxiliary Professor of the Year Award. 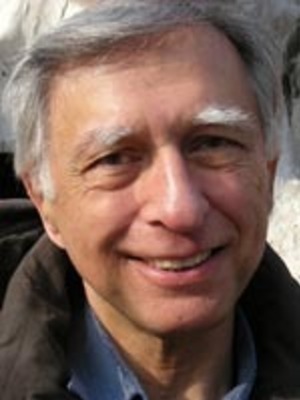 Beja has also been a visiting professor at the University of Thessaloniki, Greece; University College Dublin, Ireland; Northwestern University, U.S.A.; and Beijing Foreign Studies University, China. Among the honors he has received are a Guggenheim Fellowship and two Fulbright Lectureships. His books include Epiphany in the Modern Novel; Film and Literature; James Joyce: A Literary Life; and Tell Us About . . . A Memoir. He has edited a scholarly edition of Woolf’s Mrs. Dalloway as well as volumes of essays on James Joyce, Virginia Woolf, Samuel Beckett, and Orson Welles, and is the author of numerous essays on film and on Irish, British and American fiction. He edited the James Joyce Newestlatter for forty years, from 1977 to 2017. Beja also founded the International Virginia Woolf Society and is executive secretary and past president of the International James Joyce Foundation, which presented him a Lifetime Achievement Award on Bloomsday, 2010; he was made an honorary trustee for life in 2012. He has directed or co-directed numerous international conferences, one on Beckett and seven on Joyce, including Bloomsday 100, the International James Joyce Symposium in Dublin, June 2004. Epiphany in the Modern Novel. Seattle: University of Washington Press, 1971; London: Peter Owen, 1971. Film and Literature. New York and London: Longman, 1979. James Joyce: A Literary Life. Columbus: Ohio State University Press; London: Macmillan; Dublin: Gill & Macmillan, 1992. Tell Us About . . . A Memoir. Bloomington: AuthorHouse, 2011. "Joyce, the Artist Manqué, and Indeterminacy: A Lecture and an Essay." Gerards Cross: Colin Smyth, 1989 (Princess Grace Irish Library Lectures 6).